I ordered this sample a few weeks ago, as I've heard great reviews about it. I only ordered the sample size because my hair does not like coconut oil. My mother used this twice and I used this once. There's still product left to use!! Nice smell and lather. Works well for both us of with 1 exception for me; the coconut oil. I used this product, along with the deep conditioner (ordered from TGIN), leave-in conditioner (bought from CVS) and the buttercream moisturizer sample (TGIN included in my order). The combination of the products are great, except for the coconut oil for me. 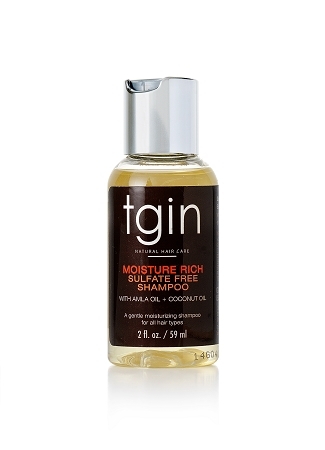 With TGIN, the coconut oil side-effect was minimal when compared to other products with coconut oil. If my mother wanted this, I would repurchase it for her.